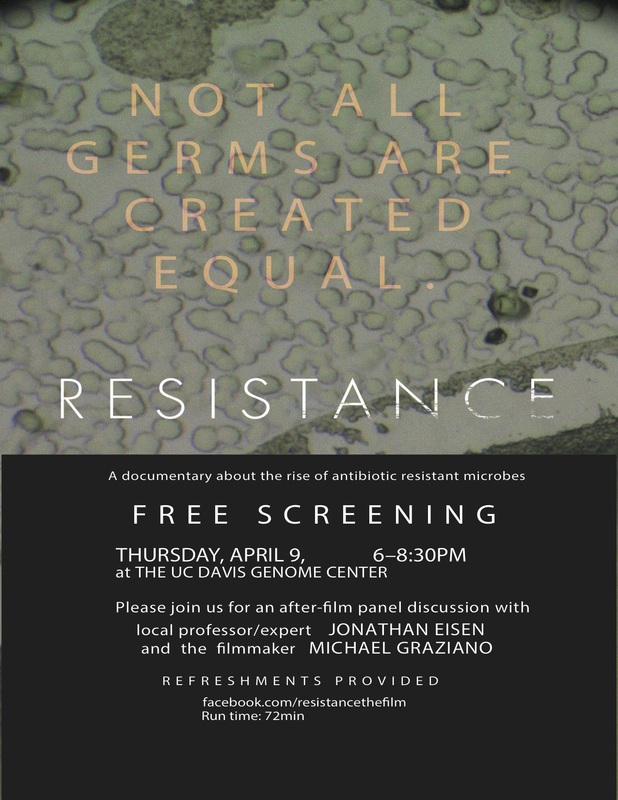 Resistance (The Film) at UC Davis April 9 – microBEnet: the microbiology of the Built Environment network. 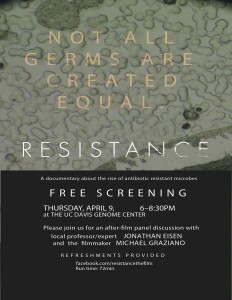 We will be hosting a screening of “Resistance the film” at UC Davis. The filmmaker Michael Graziano will be there. See the first two minutes of the film below (note – the voice may be familiar to people who know, well, me). Resistance (first two minutes) from small-r on Vimeo. 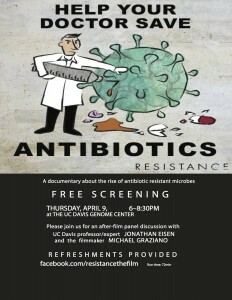 Antibiotic resistance is a growing problem and we need to do many things to combat it. This film is an important contribution to the fight. 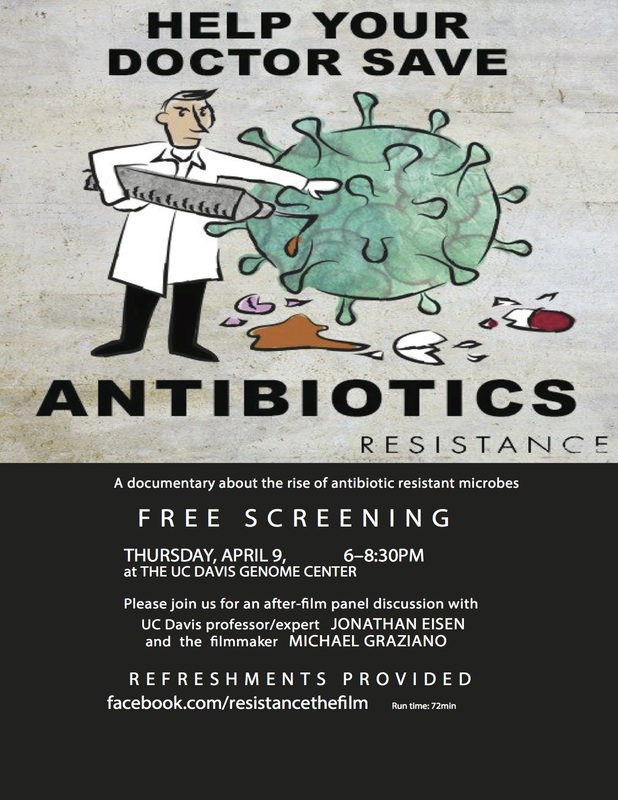 I hope to see people at the showing (if you are nearby) and if not – you should find a way to see this film.